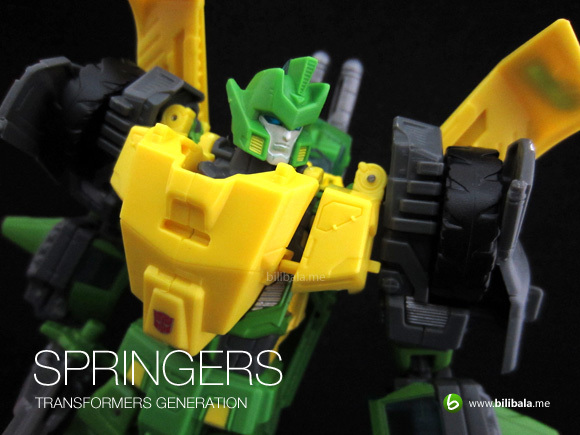 Voyager Springer, most probably the best mold and the MUST have for the year 2013. 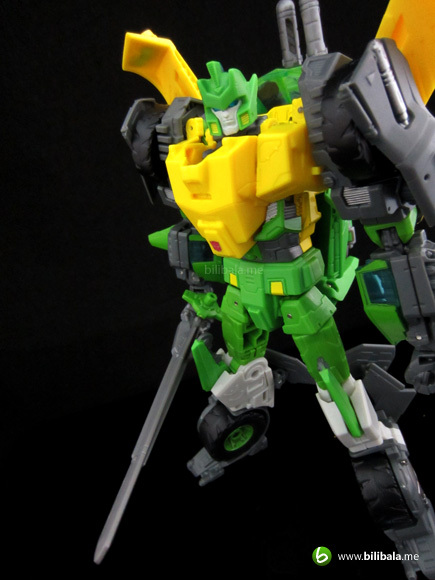 For years, we have been waiting for new triple changers to be released from Hasbro and the thirst has finally been quenched. 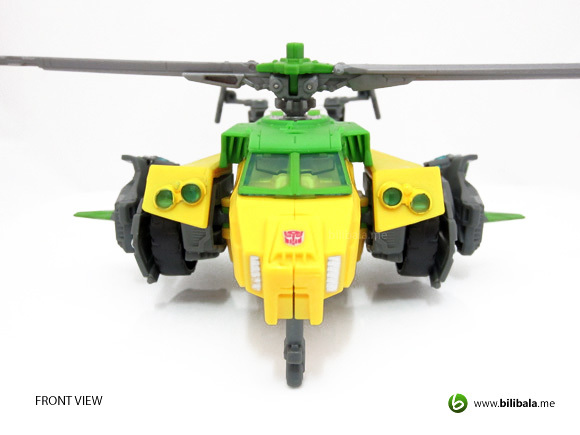 Apart from those hefty triple changers from 3rd party, this official product has really lived up to what it has to offer: Price wise, feature wise and playability. Read on to find out what this thrilling piece is going to offer. 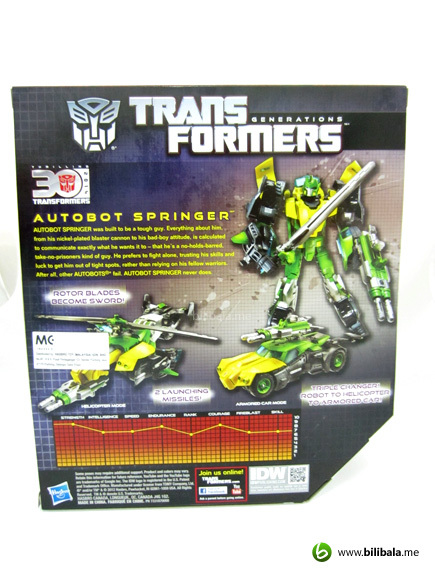 The new Springer is released under the Transformers Generations line with their masthead of “Thrilling 30” which resembles 30 long years of Transformers history. 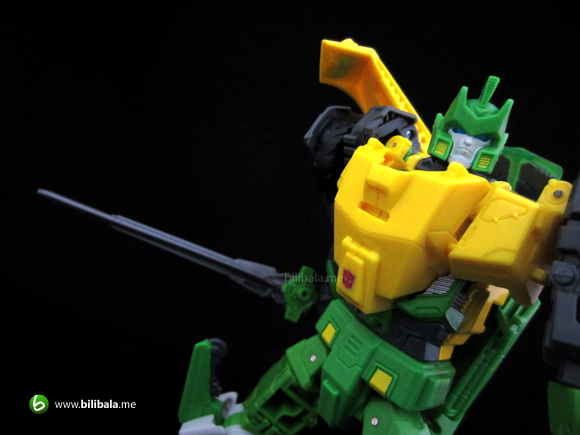 Oh yes, Transformers has really come a long way and couldn’t believe the toy on hand has history almost as old as I am. Definitely a thrill to see how the evolution of their transforming gimmick till today. 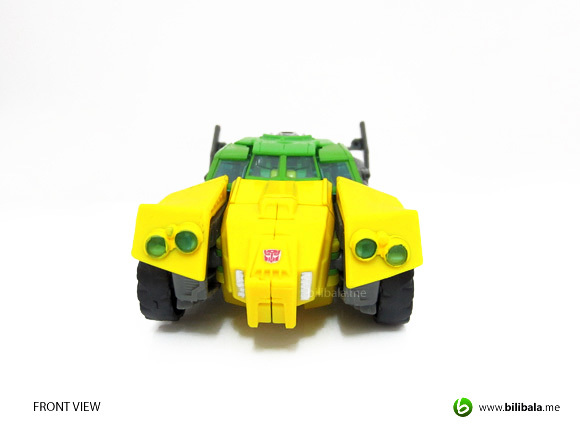 The back portion of the box reveals typical design with character specs and brief snaps of the alt modes. 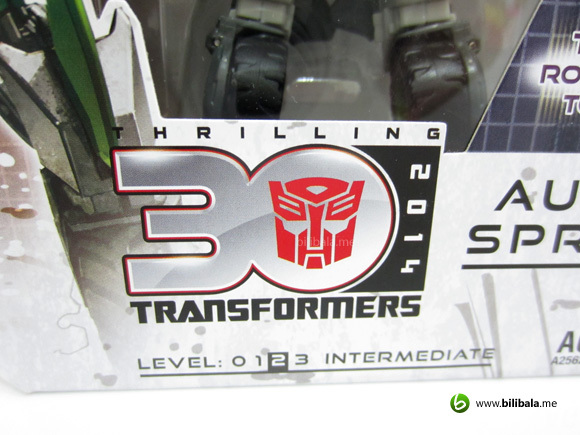 It does thrill Transformer collectors just simply by seeing the modes. 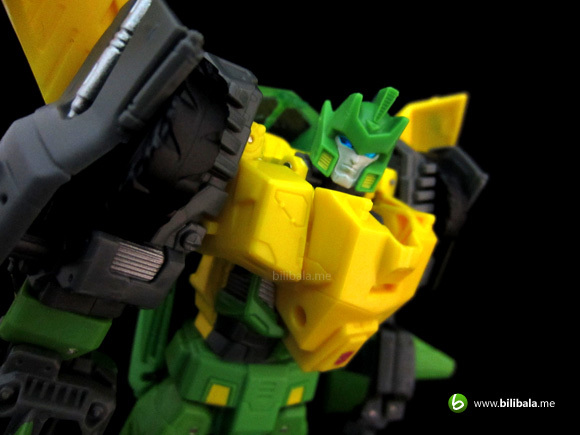 The IDW logo comes in view as well which suggests that the design is heavily derived from the IDW version. Thrilling 30 masthead here and there. 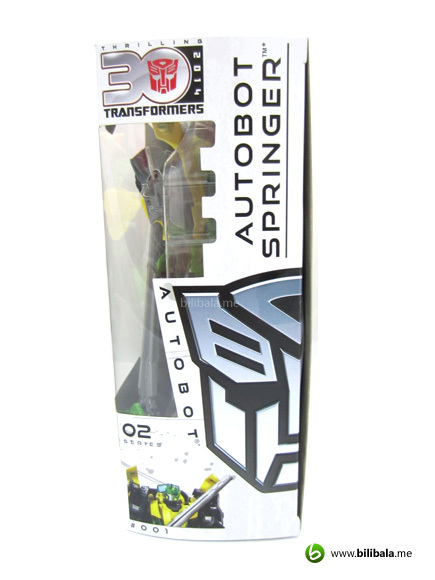 Kinda like how the treatment is being done to the Autobot insignia here. Yes, you have guessed it right. 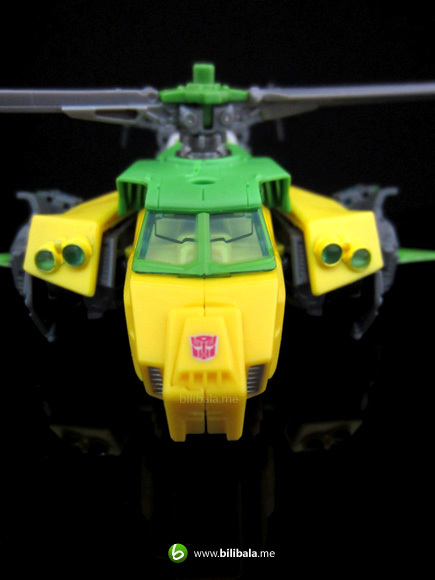 The same treatment is being done to the Decepticon insignia as well for the other triple changer: Blitzwing. Oh yes, i am thrilled seeing this thrilling masthead. 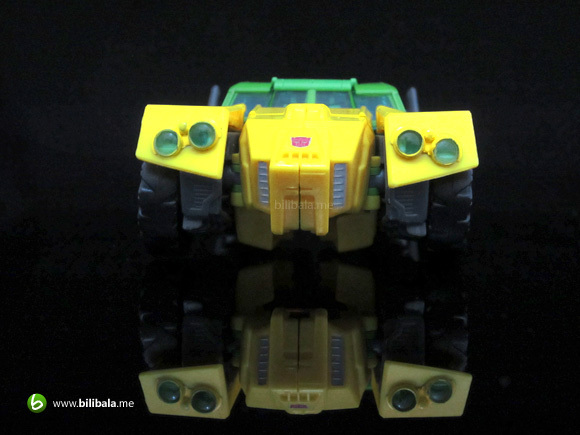 Again, the Autobot insignia is being embedded into the Masthead. 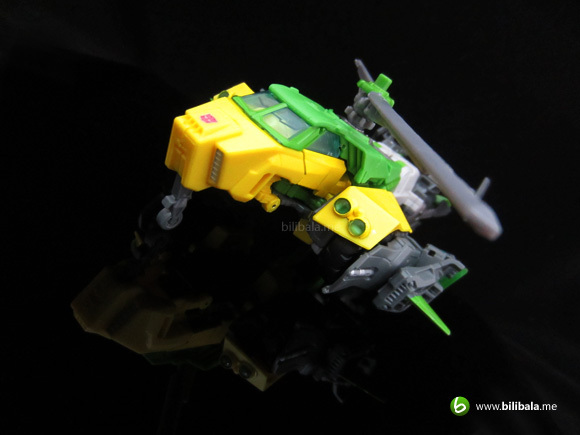 Be expected to see the same treatment being done for the Decepticon version as well. 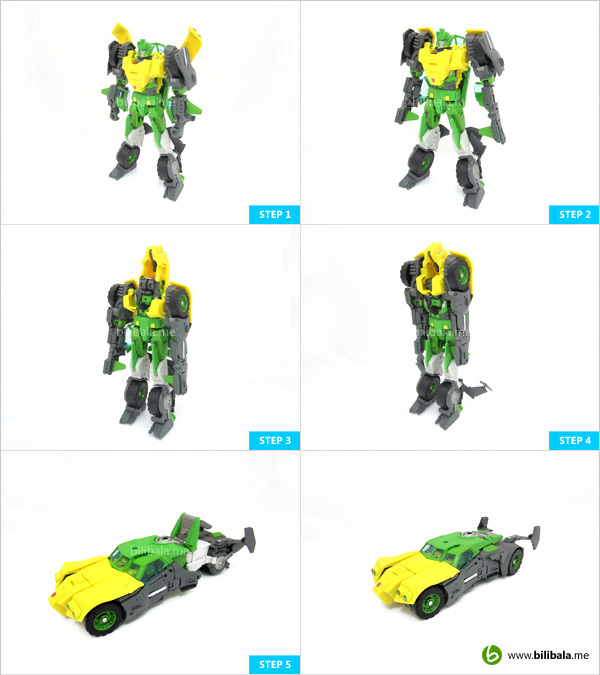 Well, what’s so worth buying a triple changer is that you get to play with 3 modes with ONE price paid. 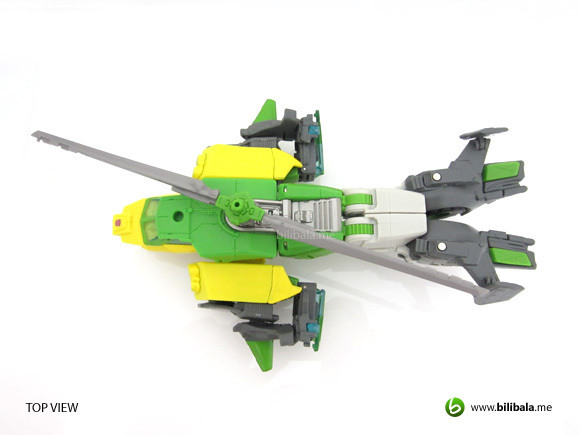 Not to mention the toy engineering is the most exhilarating so far. 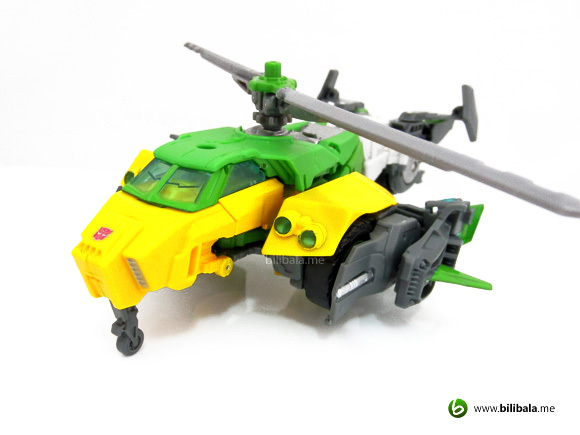 Oh well, we have the typical setting for Springer being a car and a helicopter as alt modes. Much like the Sandstorm. 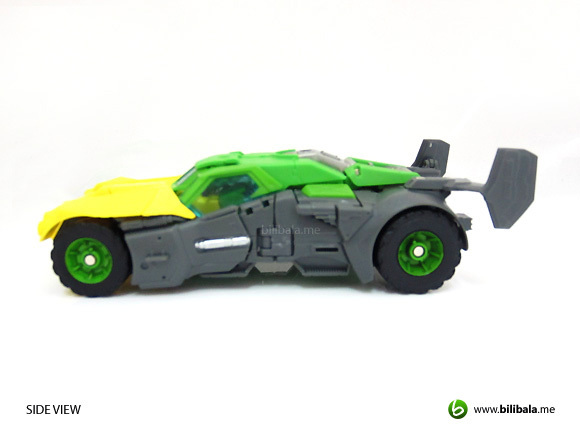 Here’s the chunky yet sporty car mode of him. 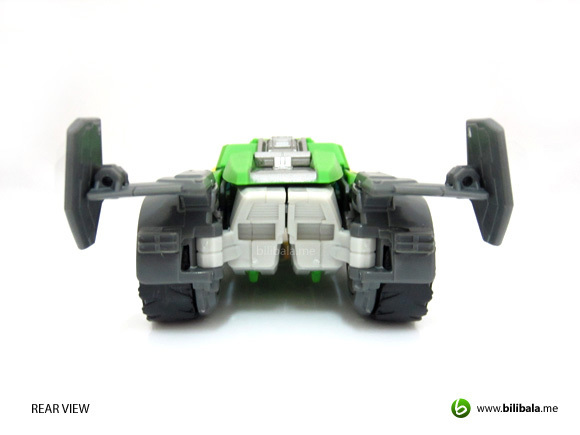 The front lights are in some classic looking design with green translucent plastic. Front windscreen is draped in bluish translucent plastic. Much more smaller details are being highlighted using metallic silver paint, such as the air intake grill located in the middle section. Another point to notice about paint chips here is the “casing” surrounding the headlight being painted in yellow color. 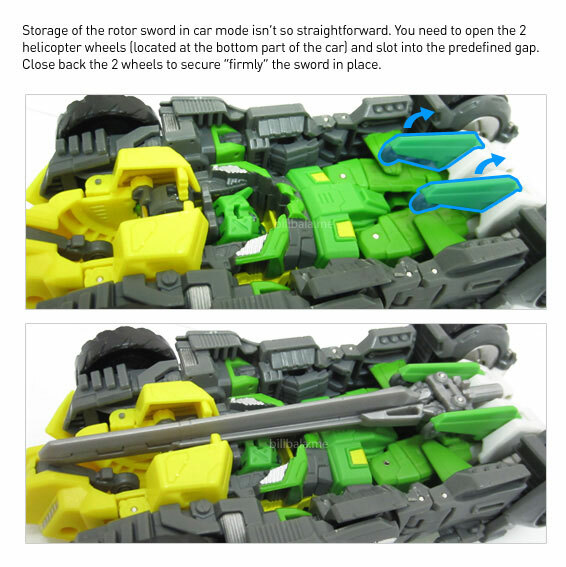 Much crappy paint jobs can be seen here and the best part of it is, you can only notice it when you open up your box. 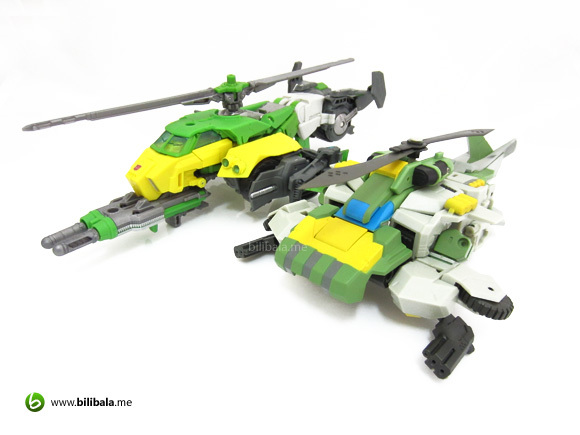 So long to MISB collectors. Notice there’s a piece of silver metallic painted part which standouts. The rest has the luxury of being cast in darker shade of grey. Guess they left out the paint on the tail light. We really happy to see no hands or legs sticking out. The roof part of the vehicle is painted in silver metallic color as well. That’s the part where you can peg in your missile launcher plus an easter egg there. We’ll touch more on this in our gimmick section. 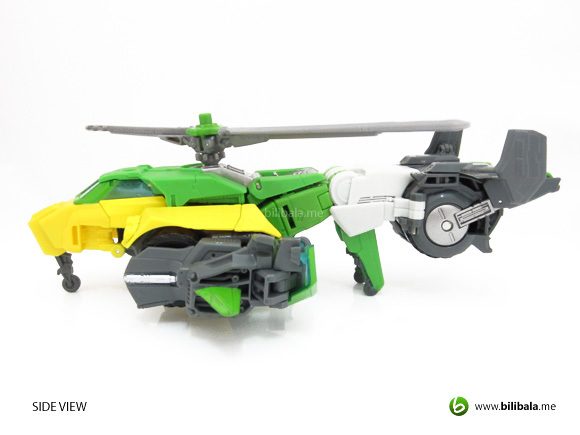 The helicopter appears in a sleek and high profile design. 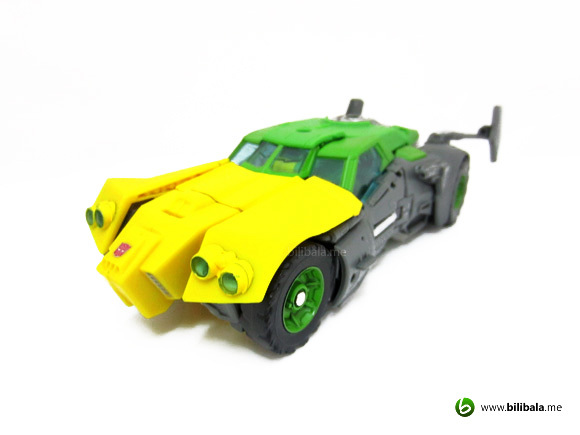 Much design has been remained from the car mode without drastic transformation as what you can notice: headlights being pulled to the back and front/back wheel being flipped to replace with fins at the side. Ingenious design. What’s used to the headlights now become the sidelight for the helicopter. 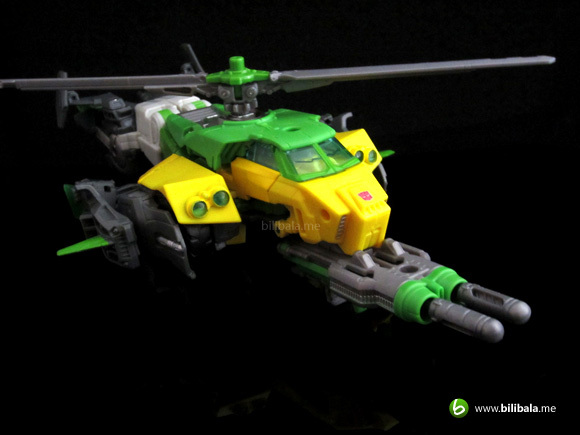 The overall feature does remind me of Airwolf, but in green and yellow mix of color. 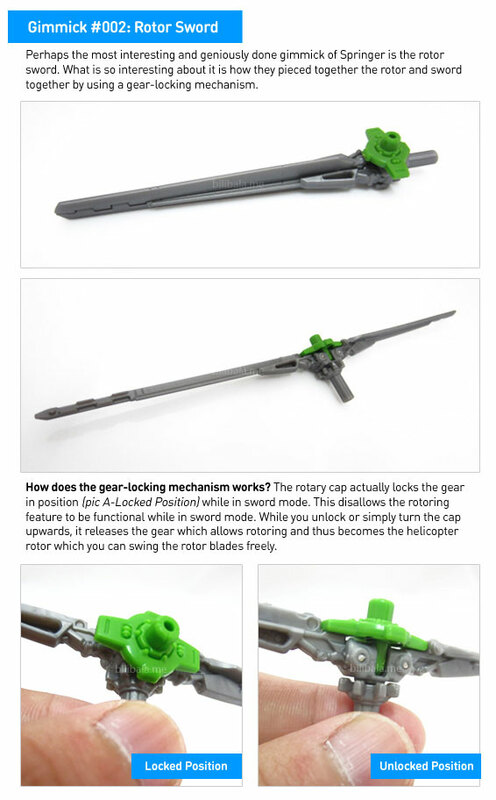 There are landing gears to support the helicopter when being placed in horizontal ground. 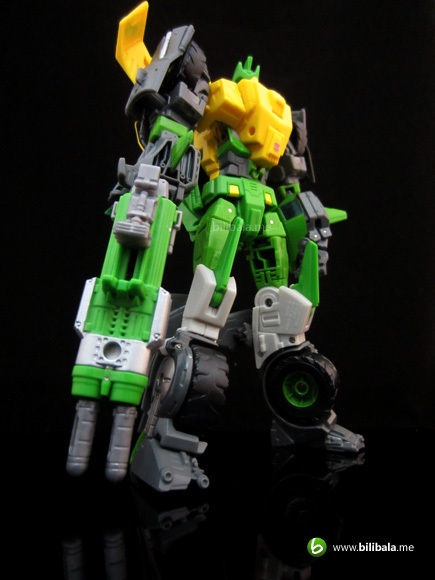 Those gears are pretty much retractable. 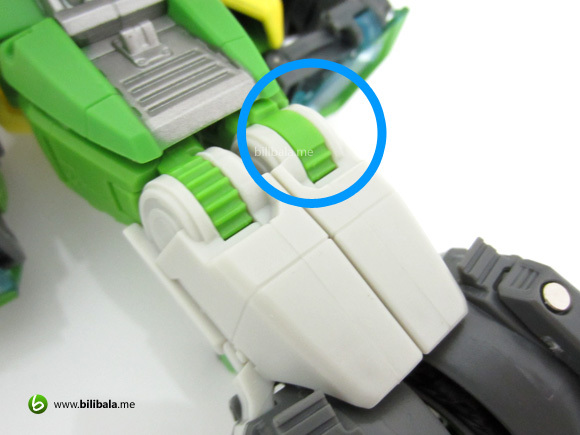 A QC side note here: the unit that we have actually have a big flaw of the knee gear joint being wrongly installed. Sadly, you can’t really notice this at least you have to take it out of the box and check it from behind. Though it doesn’t much affect the transformation, but it sure is a sore in the eyes. 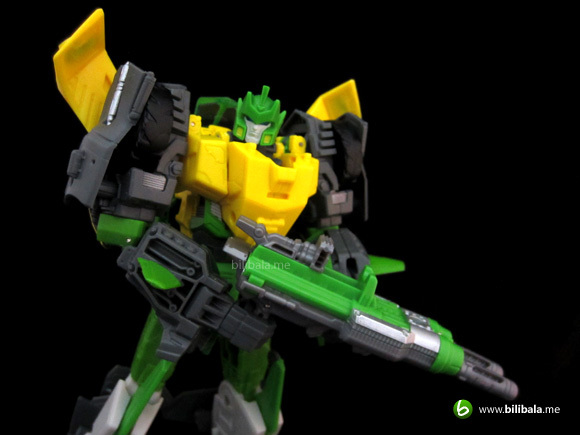 Truest to the IDW version of Springer (created by Nick Roche for Last Stand of the Wreckers), he does look way more cooler and modernized. 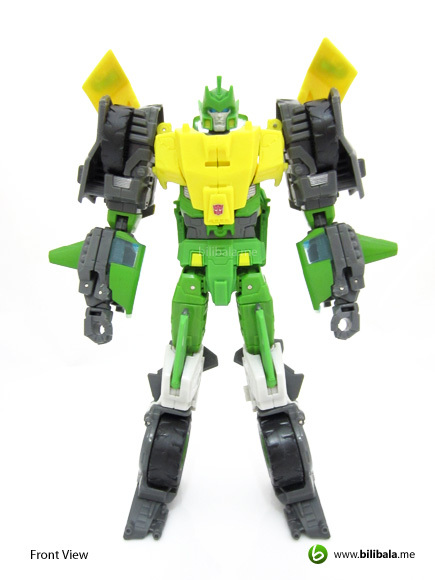 Overall color is, well, Springer inspired of yellow and green which does blend perfectly well. 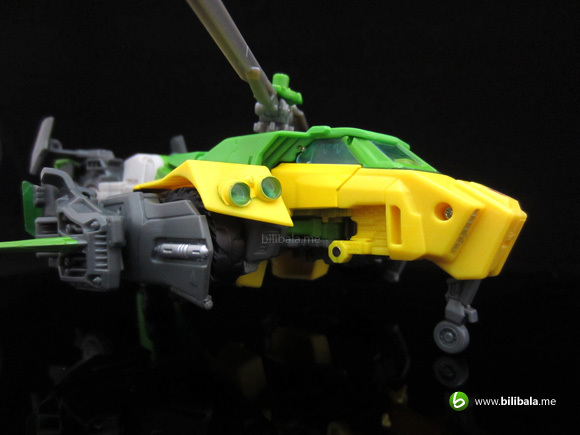 Don’t expect to see much paint jobs though. 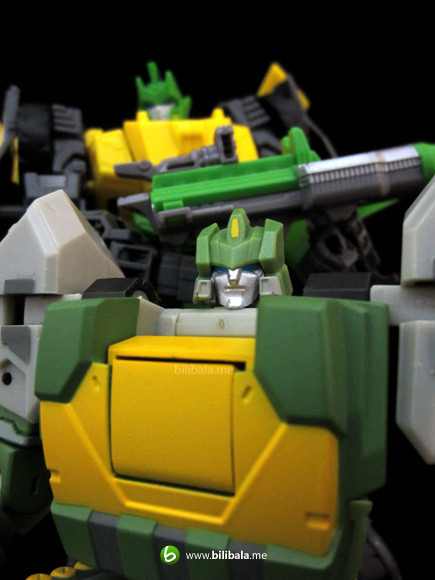 Most paint jobs (metallic silver, etc) are only applied to certain detailing part of the figure (such as face). Although he looks stunning, but personally we felt the overall body proportion is a bit, well, awkward. The upper body seems to be overwhelmed, while the lower part of the body seems thinner and fin-like. In which, such proportion gives us the impression of a merman. Of course, with fins here and there, you couldn’t help by agreeing that he does seem like belonging to the sea. Overall body proportion to weight ratio is okay. No back kibbles. 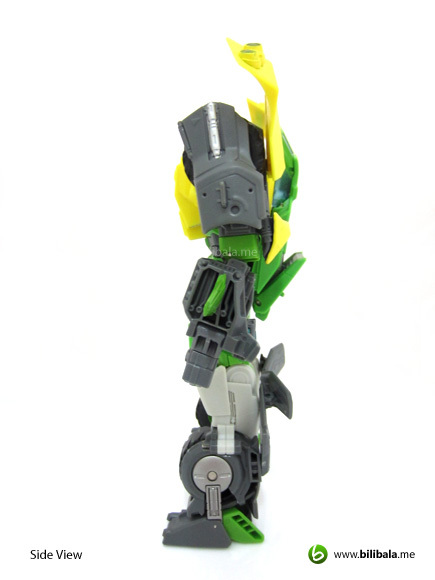 However, with the slightly smaller legs and lack of ankle joints, you might have a bit rough time posing him. A closed up on the head and torso section. 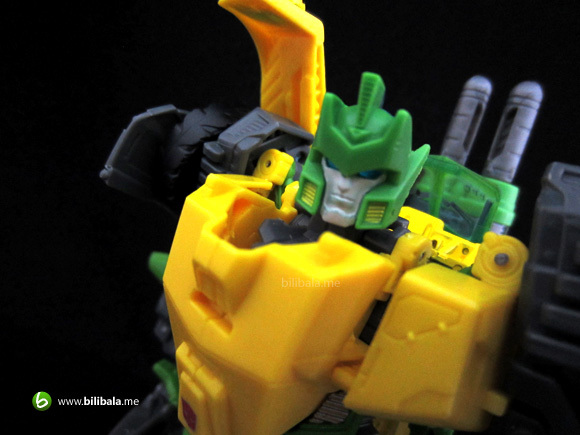 A small imprint of the Autobot insignia can be seen clearly at the lower abdomen. The headpiece is light piped and the entire face base color is being painted. Yes. Painted means there are possibilities of paint chips, paint not even or even some thinning of the paint also can be observed. A word of advise: do check on the facial paint job before picking him up. 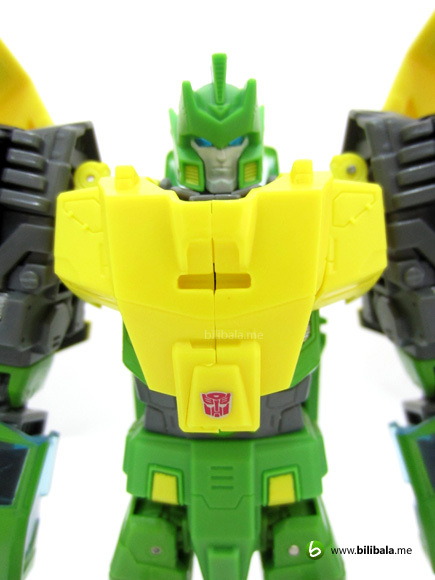 Another problem i have with this figure is the chest portion of him has a slightly larger gap in between (notice below pic). This is mainly due to the uneven cutting of the plastic and the gap comes out when they are being pieced together. 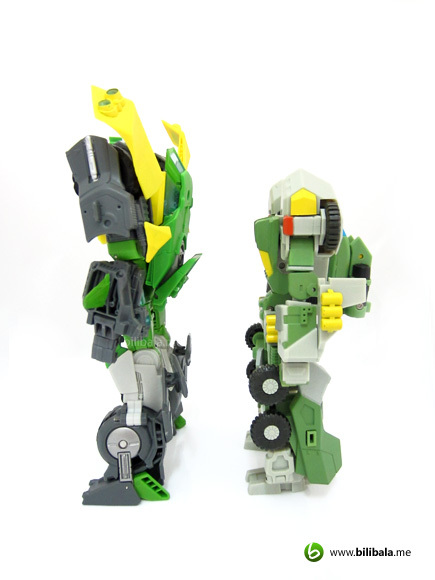 Transformation is quite straightforward. 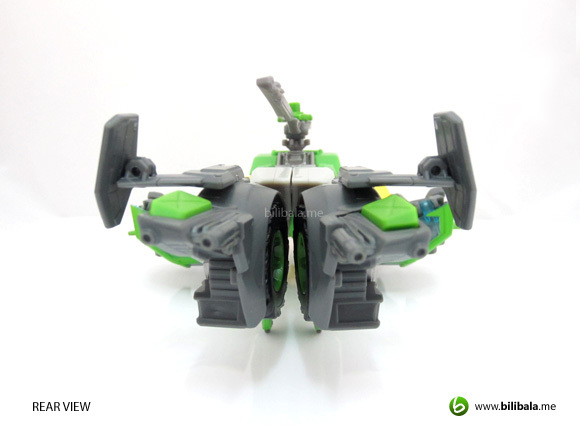 It isn’t as complicated as the 3rd party Defender and definitely much more intuitive. 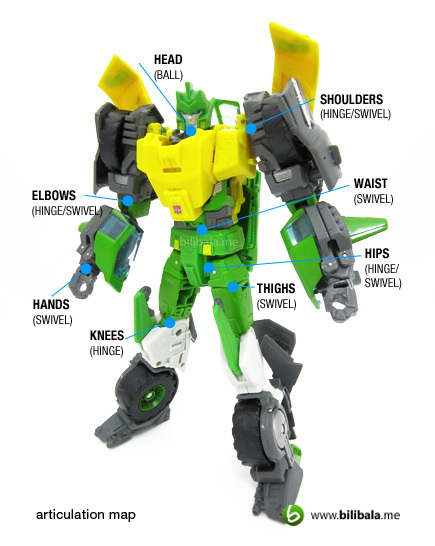 Once you get to know which parts go into which, you can easily transform from either mode into another. 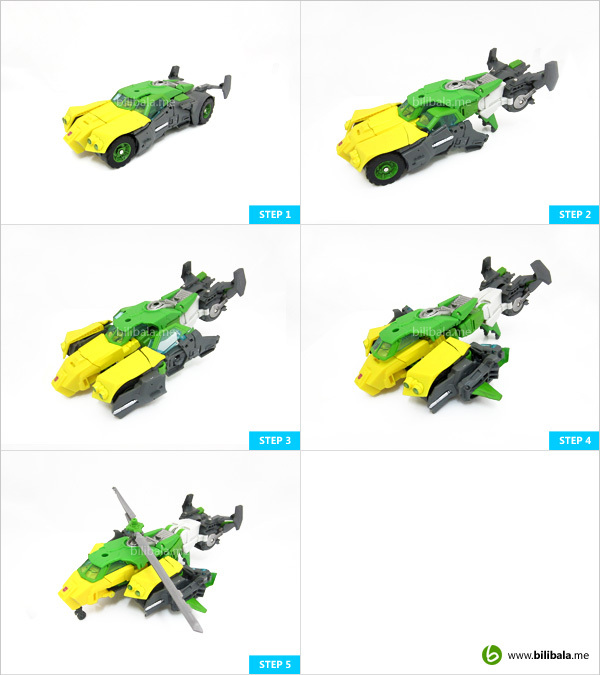 But for us as first time transforming him, we found the easier route out is from Robot mode to car then helicopter mode as the steps taken is much more minimal. 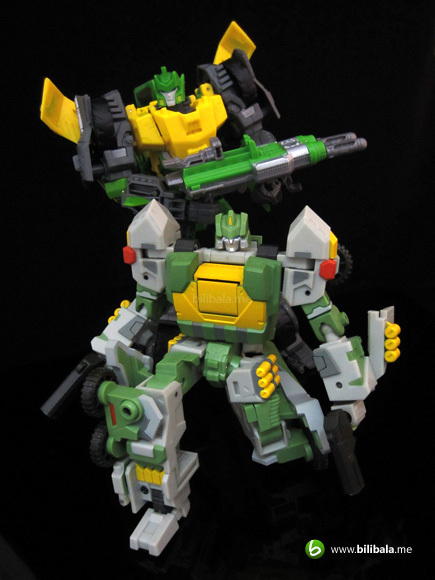 Well, a direct comparison would be between him with his 3rd party twin Defender. 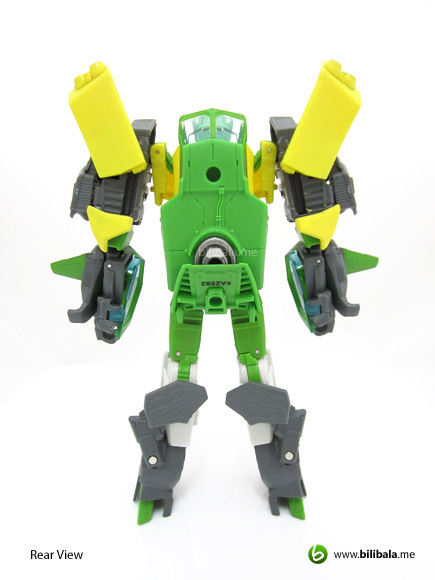 Overall, the Defender weights as much as double of the Springer and plastic quality wise, the previous having a more solid built plastic. Size wise, the new one still leading and having the much modern looking design as well. 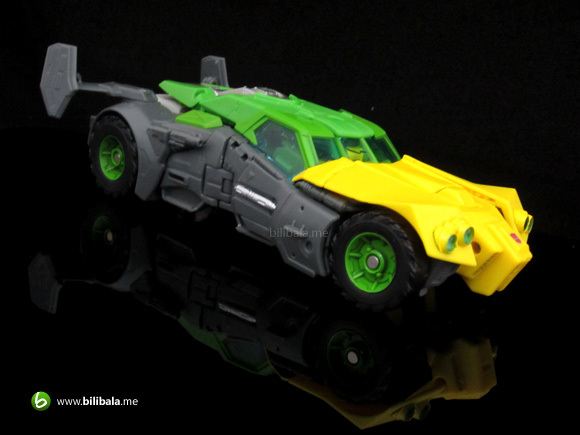 I still find the Defender having a old school design with blocks and bulkiness. 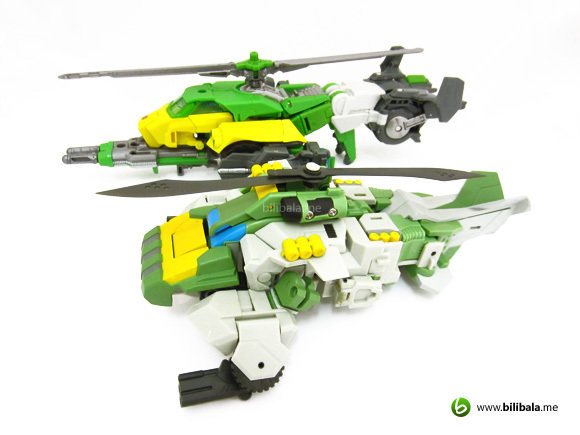 Size wise, from helicopter mode, both almost having the same length and size. 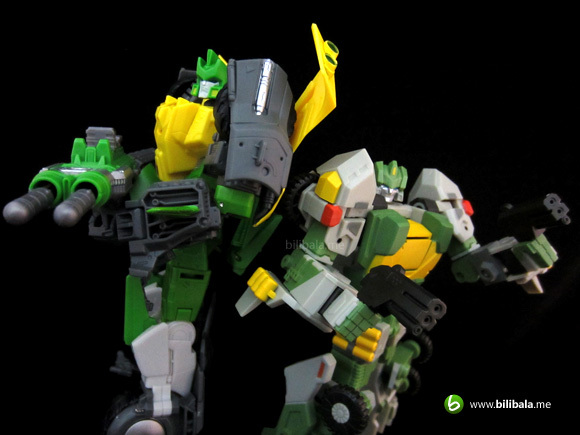 Color is more striking in the new Springer with shinny plastic while Defender is using matte plastic as their core materials. 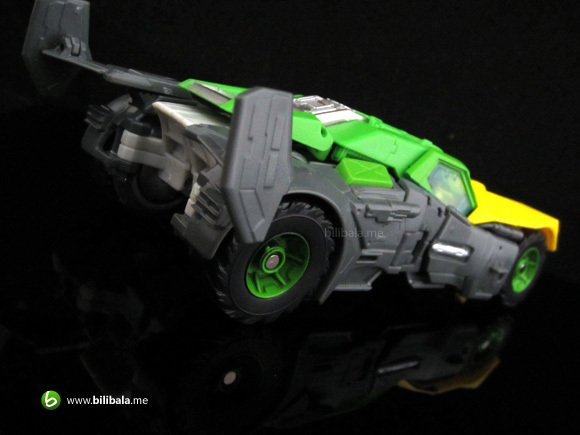 Car mode having almost the same size as well. 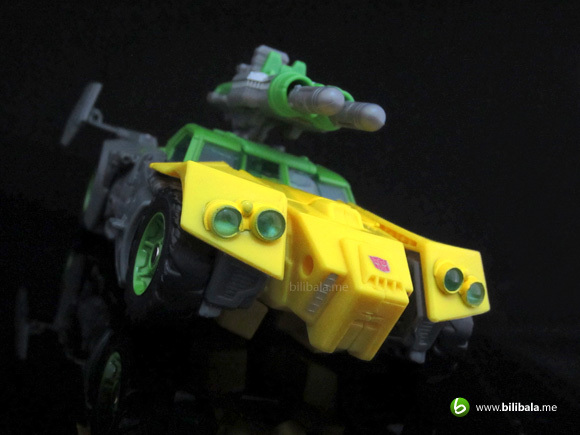 From here, you can notice that the Defender’s windscreen is just painted instead of transparent plastics. 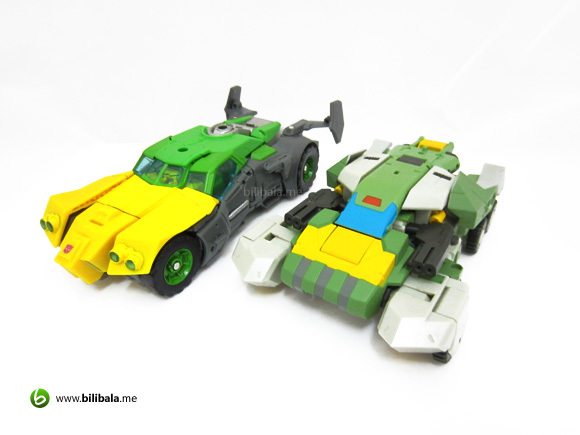 Well, from the top view, you can just conclude that Defender is a fat and clumsy car while Springer is more attractive. 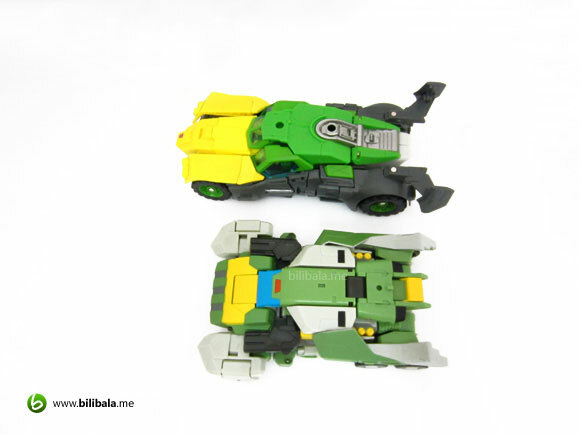 Though not very obvious in size for both alt modes, the robot mode shows otherwise. 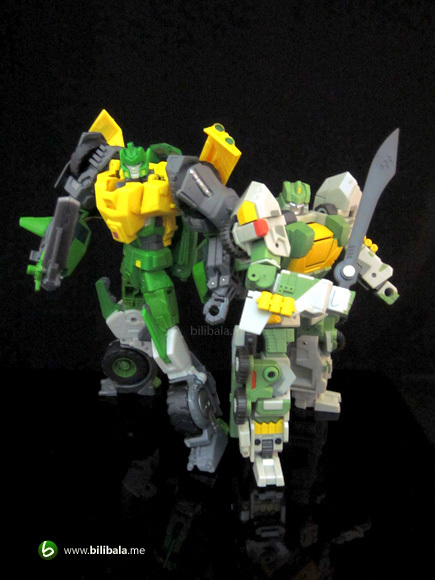 Springer has more sleeker profiles and definitely taller. As mentioned before, Defender having a more old school approach which you will see more angular block design. The only good thing about the Defender is of the weight. But that doesn’t bring much stability of him due to the infamous small heel problem. 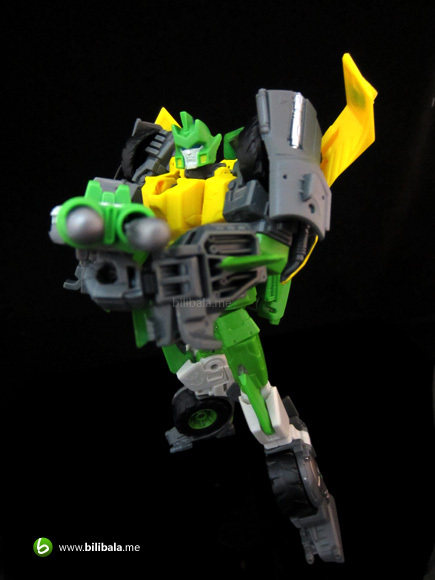 Springer in the other hand, stand sturdily as compared. Picture of him with his brother. 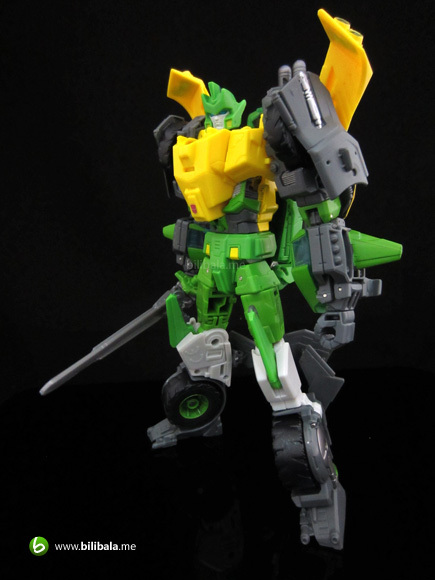 This is definitely the best mold of Springer so far and most probably the best in triple changers, at least for us. Gimmicks are ingeniously designed and really great piece of engineer. The pros definitely offset those cons with this piece we must say. 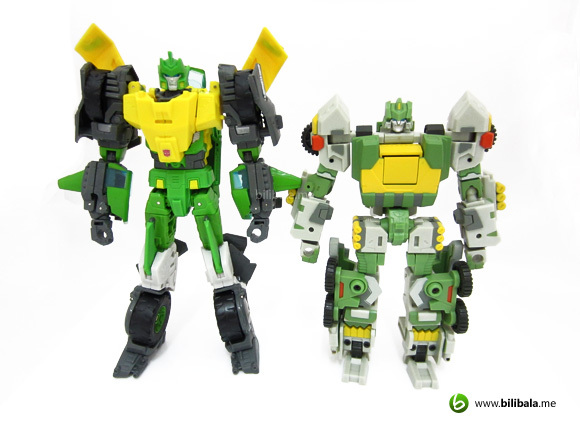 If you ask us which to choose, well, both have different designs and gimmicks with entirely a different mold, we would say, we want both. lol. 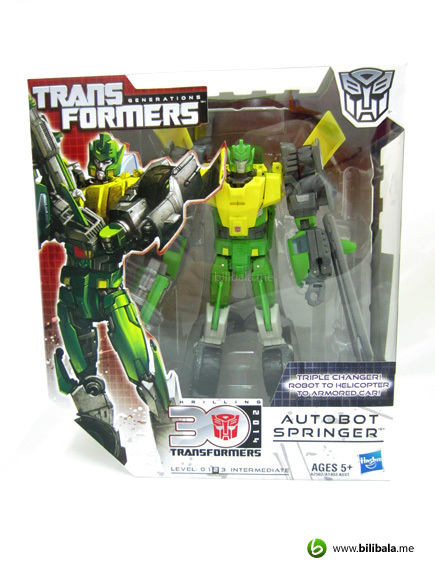 But judging from the price range, Springer is definitely a go but if you have more cash to spare, grab the Defender as well. 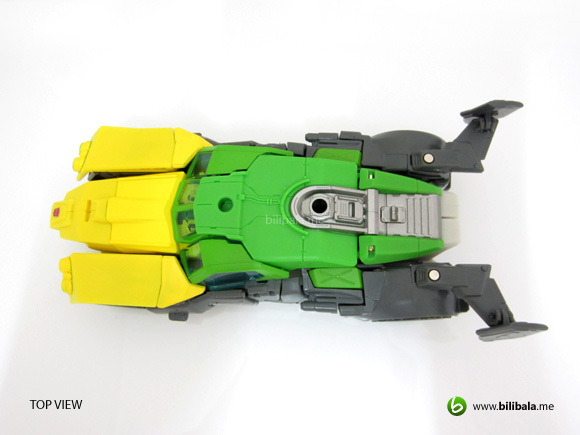 What I like – Triple changing gimmick; nicely designed mold; intuitive transformation. 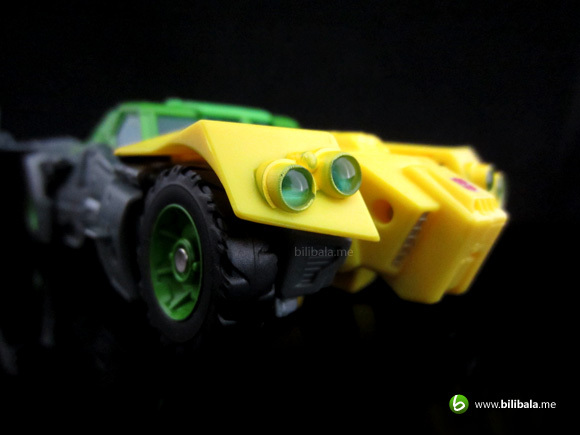 What I dislike?– QC problem for the joints; paint defects esp: facial paints, headlights enclosure. 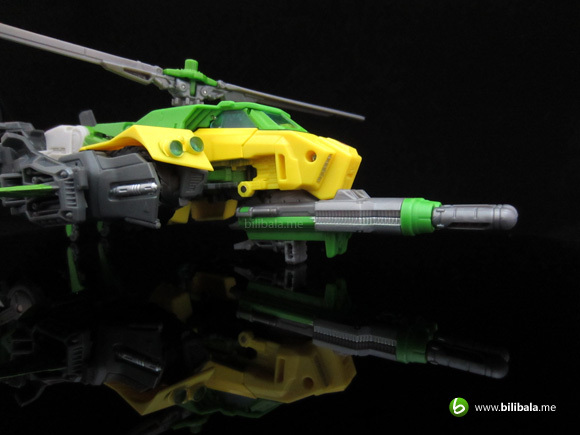 I can't wait for the Sandstorm retool.